Tonight I am extremely proud to have been selected as the Labour candidate to fight the Hazel Grove parliamentary seat at the next General Election. We have 5 months to persuade voters to break their habit of voting Liberal Democrat and thinking it will somehow get them anything other than a Tory government. With typical brass neck the Lib Dems will be campaigning against their own record in Government. They will peddle that line that annoys me so much – that “Labour can’t win here”. Those mathematically inaccurate graphs aimed at voter suppression. Urging our people to stay at home. How patronizing. How anti-democratic. The Conservatives today have shown as a sham their record on economic competence – the deficit is still there and the national debt is rising. As I said on the BBC ONE O CLOCK NEWS today the Labour leadership in Northern cities like Manchester have led the way in developing the momentum the Tories are claiming credit for. George Osborne kicked the can along the road today on business rates. Offering a review instead of reform, something that will do nothing for our hollowed out district centres that are kept alive by enterprise and ingenuity, but deserve the fair rating system that Labour propose. Yet, they will tell the large numbers of self-employed and small business owners in this constituency that they’re on their side. I run my own business. My Dad is self-employed. Until recently he even had a white van. All the good companies I’m involved in now share the ethos of fairness, courage and supporting their staff. And as a business journalist for 20 years, I know what GOOD business is all about: inclusive, hard working and enterprising. They are my values and they are Labour values. Ours is a vision for everyone having a fair chance, a good start in life and a country built on the efforts and endeavours of working people having a stake in its success. Proud of our achievements in government – humble in our determination in opposition to fight for our people to re-earn their trust so they will turn out for us so our party can govern again with the message of radical hope we offered in 1945, 1964 and 1997. I’m going to be an energetic candidate on the doorsteps, in hustings, at events, public meetings, debates, on Facebook, Twitter and YouTube. Wherever the people are. But my biggest asset will be the wonderful people of this community who I will work hard to campaign for and with. Wow. 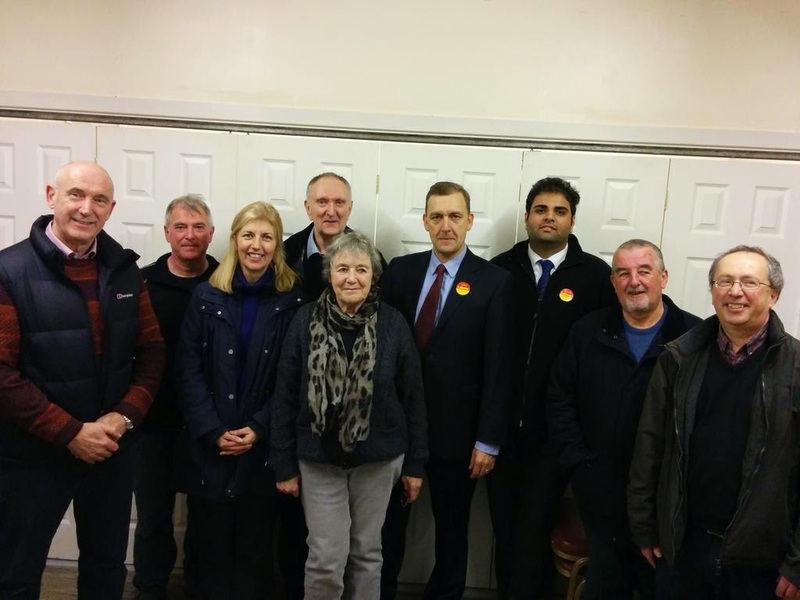 Fantastic news for you, Hazel Grove and the Labour Party Michael! Best of luck, and may your success be replicated across the nation. Really disappointed at your choice of party Michael, didn't think your views were a natural fit with the left. I could vote for you under an indy, Lib Dem or Tory banner but I'm afraid I could never vote Labour again.